Dr. Brownstein's Natural Way to Health is different from any other source of health information you've seen previously — 100% focused on crucial issues affecting you and those you care about. 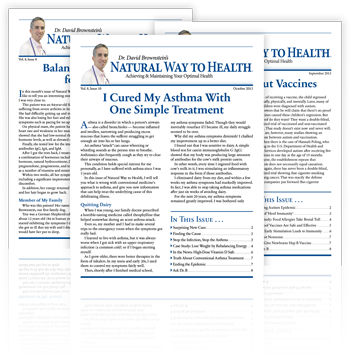 It's loaded cover to cover with, not only the most recent insights on emerging natural therapies, but also with the best of safe conventional medical care — and so much more. All delivered directly to your e-mail inbox — or your door — each and every month. No matter what health issue you may be coping with, you'll discover every issue of Dr. Brownstein's newsletter to be an outstanding source of useful suggestions to help you enjoy a fun-filled, active life. You and I both know, in order to have the best medicine, you must start with the best information. You'll discover some of the most current natural health strategies available that could possibly change your life and your health forever. New Health News. Dr. Brownstein takes recent health items reported in the news and clears up any contradictions or discrepancies that no doubt will leave you baffled or confused. He shares his insights on whether or not what you've heard is the real truth — or not. Case Studies. 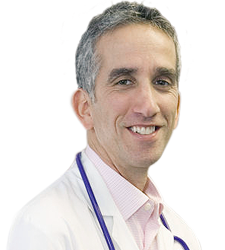 Having treated thousands of patients throughout his years of practicing medicine — integrating the best of both the medical and alternative health worlds — Dr. Brownstein has collected a vast number of case studies that he's eager to share with you. Each month, he'll present one or more of these actual cases for you to utilize in creating your own vibrant health — and perhaps even preventing you from making some of the mistakes these patients made before seeking his help (for many of them, this was their last stop before giving up). Nutritional Strategies. Because of our culture's dependency on fast food and eating for convenience rather than health, Dr. Brownstein feels it's imperative you know the truth about what you're feeding your body. You'll discover the little-known facts about such simple things as iodine and salt (the right kind of salt), grains and gluten, carbohydrates, and more. Dr. Brownstein will show you how easy it is shop for and prepare healthy meals, as well as even making your family's favorite foods better for them . . . Questions & Answers. Find out the correct answers to the most commonly asked questions that impact your health.